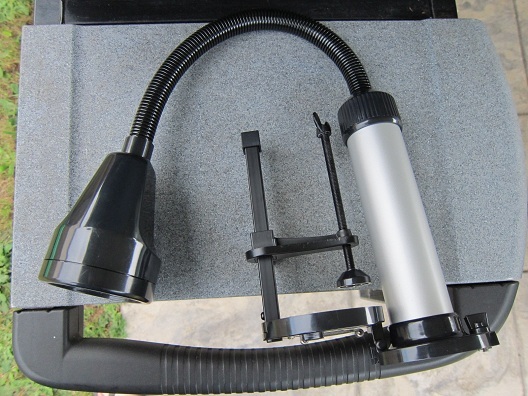 For this week’s review I was sent the Maverick GL-400 High Performance Grill Light from Darren Keller at Maverick Industries, Inc.
Maverick Industries, Inc. was founded in 1982 and is currently one of the largest producers of digital thermometers in the United States. The GL-400 has a 13 inch heavy duty steel neck encased in a protective weatherproof shroud for protection against the elements. It has 18 super bright LEDs and runs on 3 D-Cell Alkaline batteries. The GL-400 has a runtime of over 120 hours on one set of batteries. It also has an automatic timer that shuts off the unit after 30 minutes to avoid unwanted battery drain. 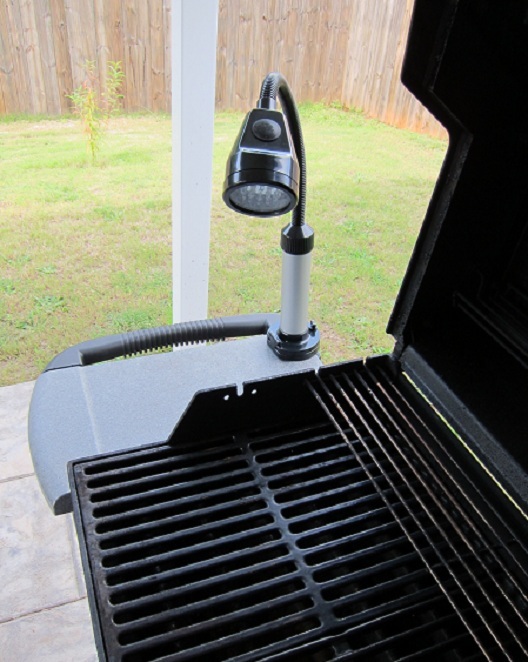 I installed the GL-400 on the side-table of my Weber grill. I made sure the unit was at least 6 inches away from the grill grates on the grill. The base of the GL-400 is adjustable, so once I had it in place, I slid the adjustable crossarm up as far as it would go and tightened the knob. 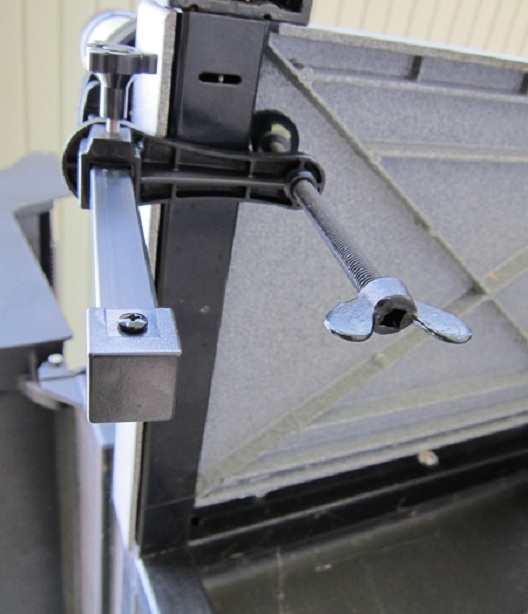 I then adjusted the tightening bolt until the clamp held the unit firmly in place. Once I had the unit in place I unscrewed the neck component from the battery tower and placed in the 3 D-Cell Alkaline batteries. I then reattached the neck component to the battery tower. Then I adjusted the head of the unit so it would direct the light onto the grill grates. I also made sure it was around 18 inches away from the grilling surface to prevent overheating when the lid is open. 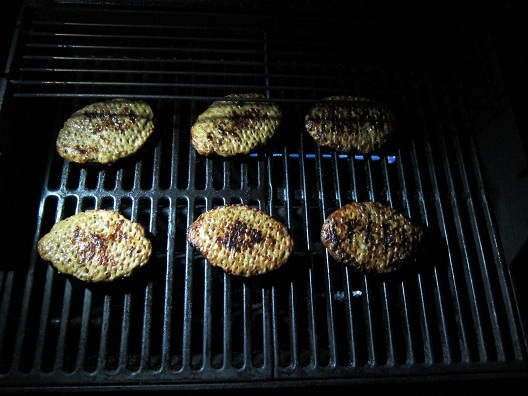 Later that night around midnight I was craving a snack, so I decided to fire up the grill and cook some of those new Johnsonville Mild Italian Sausage Patties. Once the grill was up to temp it was time to do some grilling. I pressed the “On” button and adjusted the head of the unit so it shined the light onto the grill grates. Then I placed the patties on the grill. 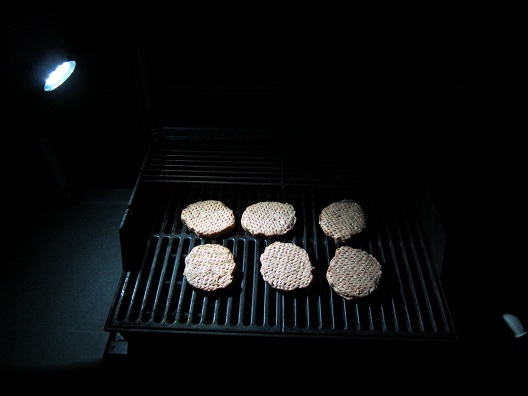 The GL-400 did a really great job of lighting up the grill grates so I had no trouble seeing the patties on the grill in my pitch black backyard. 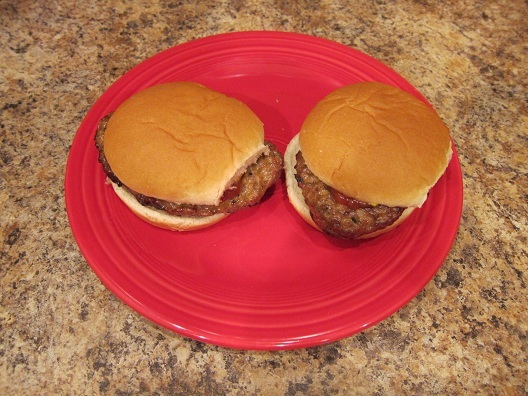 I flipped the patties and cooked them a little longer and then it was time to take them off the grill. I turned off the GL-400 and took the plate of patties inside to eat. 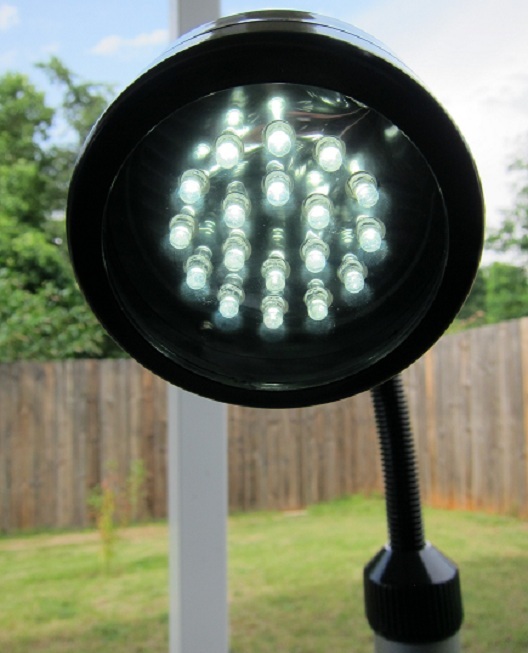 The Maverick GL-400 High Performance Grill Light feels like a very sturdy well-built unit. It did a great job of lighting the surface of the grill while I cooked. 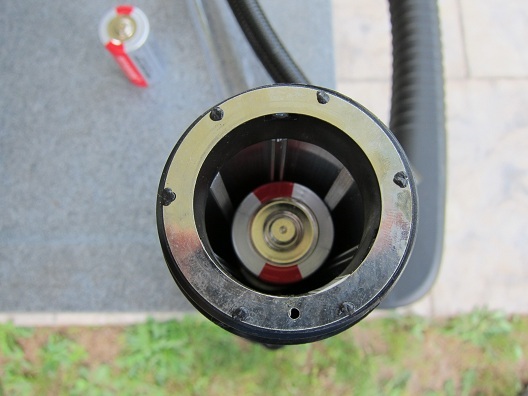 I liked how easy it was to install and the fact that you don’t have to remove the whole unit to replace batteries like some other grill lights on the market today. The 30 minute battery-saving mode on the GL-400 is a great feature since I tend to forget to turn things off. 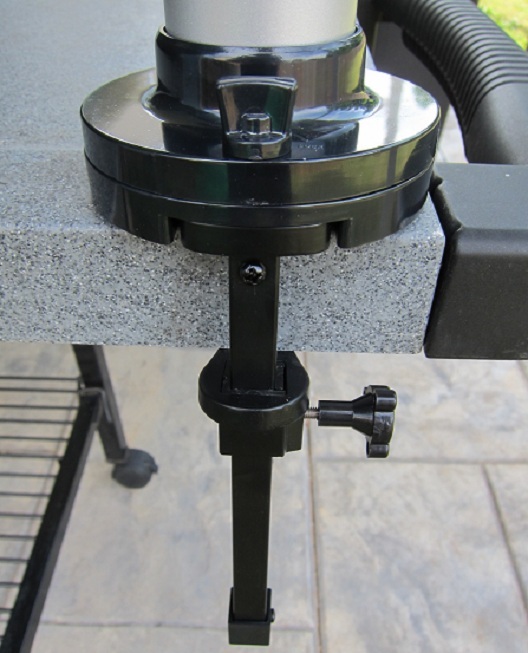 I also liked that the GL-400 can be mounted to pretty much all of my grills since it mounts to any horizontal, vertical or angled surface common on modern barbeque grills today. 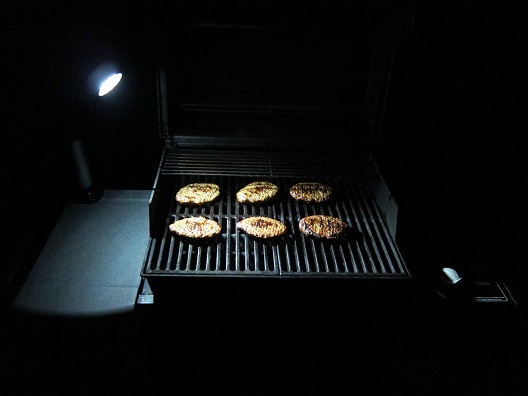 If you’re someone who tends to grill a lot at night, the GL-400 may be the perfect grill light for you! You can find a great deal on the Maverick GL-400 High Performance Grill Light here . For more information on the Maverick GL-400 please visit their Facebook page as well as their Website. 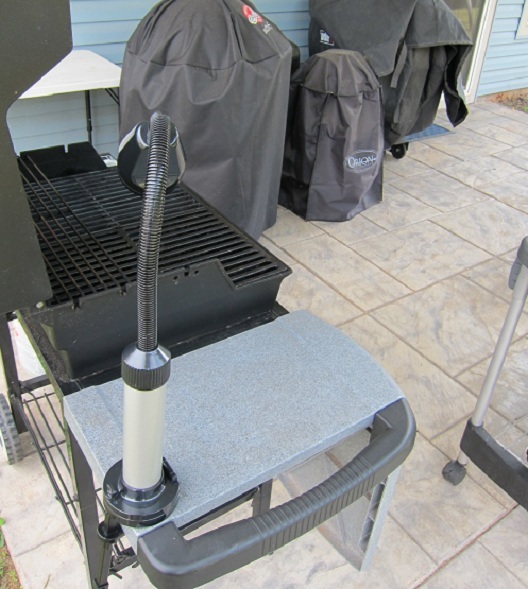 Make sure to check back in 2 weeks for another BBQ Tools & Tech Review! 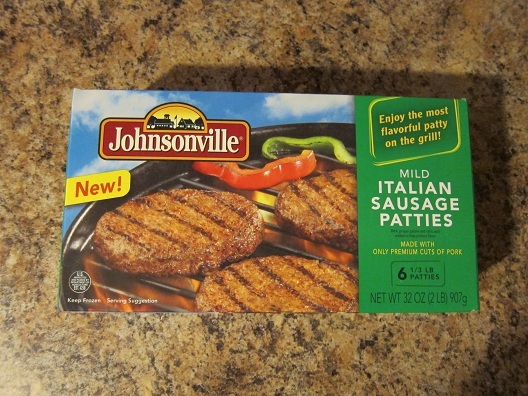 Those Johnsonville Mild Italian Sausage Patties were really good! I ended up eating another one after those 2 lol! Thanks again for leaving a comment Brian! Looks like a great little light Jay. I will have to pick one up. Mine broke a couple of years ago in bad weather. 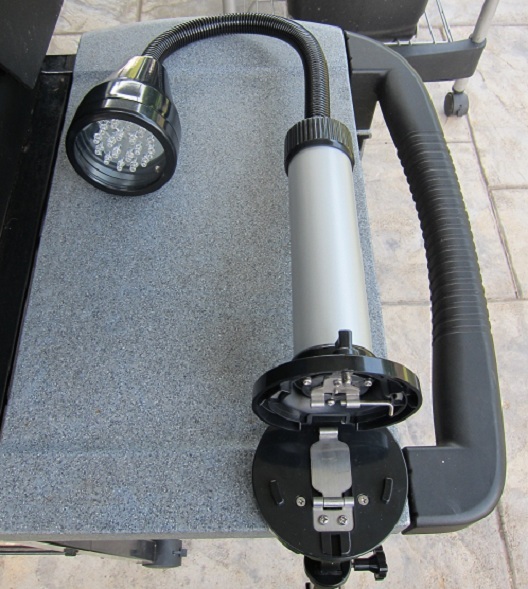 This grill light is definitely very well-made and very sturdy. I feel it will really hold up well to the elements too. I would highly recommend it if you’re looking into buying a new grill light. Thanks for leaving a comment Ernie! I like the light but it does not fit well on my Weber Genesis grill. The side shelf is too deep. I’ve tried to come up with options but the light is still unstable. Any suggests for mounting on a Weber. Thanks for leaving a comment Tanner! The side shelf is the only place I can think of mounting it on that grill since it can only be so close to the heat of the grill. Did you try to tighten it as much as you could. If you have you might want to call into Maverick and see what they think. Sorry I couldn’t be of more help.